The first time I visited Boracay, I did not try the water sports activities instead I go for a food trip and swim on the beach. 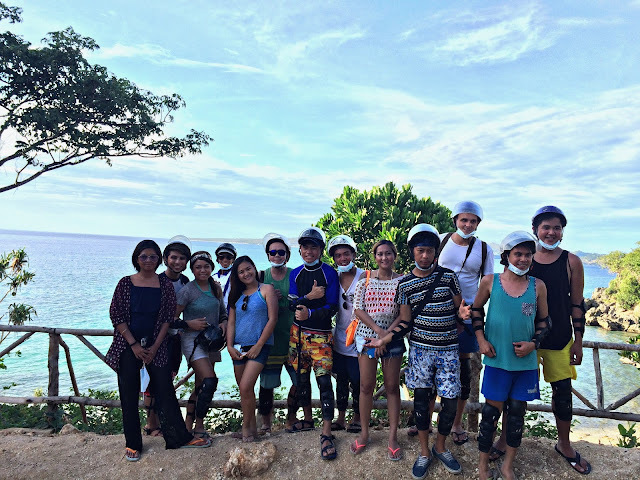 But for my second time in Boracay, Travelbookph invited me to be part of their Juanderlust last leg event in Boracay as a blogger, one of the perks is to experience some of the best water sports activities in Boracay by Stingray WaterSports Team. 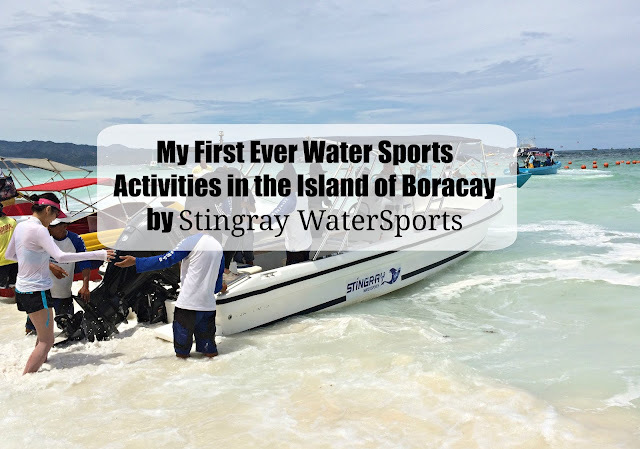 And because this is my first time to try water sports here in Boracay, I was then very excited and happy too with nice and good people around me and I feel safe with the company of Stingray WaterSports Team. The activities that we have tried are helmet diving, before doing the helmet diving, the Stingray WaterSports Team briefed us on what to do when helmet put in your head and once you already in the water, simple instructions but it will really help you to become safe. The next activity is parasailing, the speedboat will pull the parachute. Things to consider when doing parasailing is to enjoy it while you are at the top seeing the beautiful view of the entire island of Boracay, and with the harness provided by the Stingray WaterSports Team, you are really safe. The last activity is the Fly Fish which is 4 rounds of pulling the inflatable with maximum speed of the speedboat, the purpose is to let you all drop to the water but because I don't want to drop in the water, I make sure that I've held the rope very tight and focus on whatever the speed of speedboat it was and guess what I survived without dropping in the water, but if I have another opportunity to try the fly fish I will let me drop to the water to let me feel and experience it. There are many water sports activities that Stingray WaterSports can offer to the public like jet ski, banana boat, wake boarding and you can rent speed boat also. Besides water sports activities , we were able to experience also the land adventure via ATV that Boracay World Adventure was able to let us experience it although this is my second time to try ATV but this one is the most memorable experience because not only driving the ATV but you will able also to see some beautiful beaches and sceneries in Boracay like Bil-at beach which we were able to swim as our bonding session as the whole team in the beach. 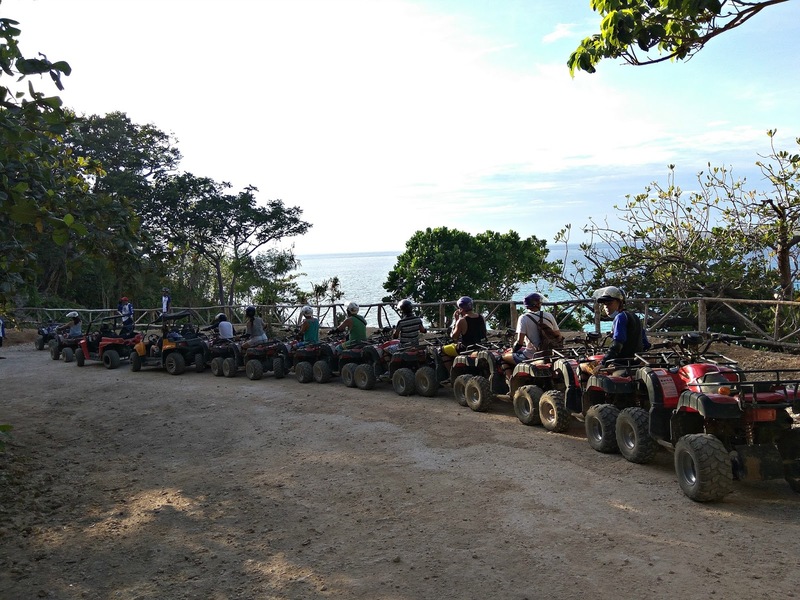 So guys, If you are too adventurous, I recommend booking your watersports activities through Stingray WaterSports to enjoy it while thinking the safeness of each activity together with the ATV experience. You have insurance in all activities. Thanks to TravelBookPH for letting us experienced those activities. All bookings can be done via TravelBook.ph through their website or call center at (02)662-1111. I am a big fan of Stingray Watersports activities and I sure can relate to what you have written here. Do come back! As first timer, I really enjoy all the activities and thankful for the whole team of Stingray Watersports for the awesome experience and making sure our safety. I will be back this coming July 17 to 20 and September 15 to 17, hopefully I can try other water sports activities of Stingray. Hi Ace. Good you did enjoy and you were lucky. My experience with Stingray is completely opposite. My girlfriend and I had an accident while doing parasailing and almost die!!!!! 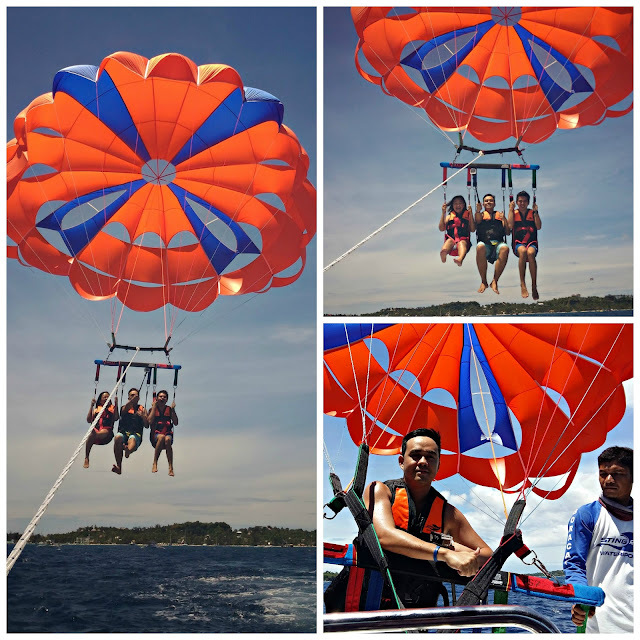 We went for parasailing with this company through MyBoracayGuide after booking other activities on the island. It was the Friday July 8th. Parasailing started at 3:05 in the afternoon. Wind was very strong already. Once on the air and after 6 minutes we realized people on the boat was struggling. Boat stopped and it was turning slowly, wind was very strong (45.1kph) so parachute was up in the air even though the boat was not moving. Then, people on the boat cut the rope (they said later it was necessary, otherwise the boat would capsize). Cause the strong wind the parachute instead of falling gentle in the water, just pulled as back and fall in the water in less than 5 secs. We thought this will end here and we would be rescued. Unfortunately the parachute didn't deflate and start going at high speed far in the sea with us attached to the harness. The boat then tried to reach us but we were going faster than the boat. My girlfriend and I were in panic, we were dragged, there was nothing behind us but ocean, and the boat was farther from us with the time. We were hit against the water surface once and again, sunk every moment and swallowing water all the time, we were helpless and hopeless; we were just trying to pull ourselves to catch a bit more air when we were a bit above the water surface. It went like that for about 5 minutes, we didn’t have any more power to pull ourselves a bit and try to breath, instead we were swallowing more water and being hit stronger as wind speed increases (wind max speed at 3:15 was 54.7kph based on weather station). We were really about to die, I already thought my girlfriend passed out or die and she was thinking same about me. At this moment fortunately another two or three more powerful boats join the rescue, they reached us slowly, then one guy jumped onto us to catch the harnesses but failed, then about half a minute later a second one jumped and could grab the harness, then he started going back to bring down the parachute, while people from the boats grab the parachute and shrunk it until it stops. Finally my girlfriend and I were rescued and taken to the hospital. Between the moment the rope was cut and the moment we were rescued it lasted minimum 10min, I’m sure about that because my girlfriend was so scared on top that I was telling her every minute how much time we are left, last time I told her it was 3:12pm, then when I was rescued and on the boat by her side I checked the time and it was 3:25p. We were very very lucky to be alive, at the end we had several contusions and bruises, and after a couple days some drowning symptoms based on the doctor (rough coughing with phlegm and fever). To me the parasailing there was not safe, and they didn’t have any measure how to react in this case. First of all, the winch hast to be checked everyday and proper maintenance be conducted to avoid this failure. Second of all and worse, when they decided to cut the rope (probably is the way to proceed, I don’t know), it was not considered at all what would happen next. They should’ve waited or asked for rescue team to join before cutting the rope, what happened after cutting the rope almost cost our lives. 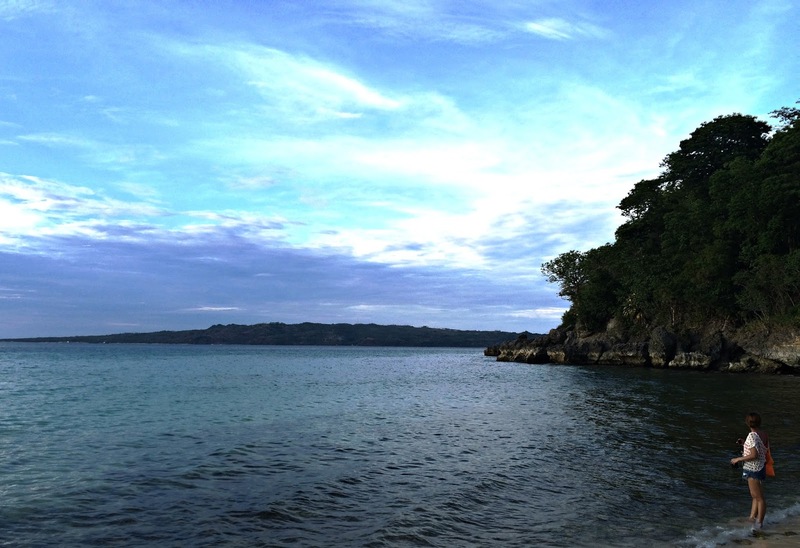 We just came from Boracay and had our worst nightmare with Stingray. We were flying so high, I could see all other parachutes way beneath us, when we felt a pull then our harnesses twisted. After some twists and turns, we plunged into the water. We were trapped in the chute, dragged and pulled under the waves! We thought we're goong to die! The rescuers had a hard time freeing us from our harnesses and one guy panicked and could not do anything to save us. After we were rescued, they all claim it's due to the speed of the wind which they don't have control of! They argued we are lighter than the others that's why we were brought up farther, but do they even measure the wind speed or do they even know that it gets windier the higher you go?! I don't recommend Stingray and please think a thousand times before you go parasailing. And btw, they said it's the first accident they have ever had!